November is World Vegan Month and today’s review couldn’t be more appropriate. I have been trying to make a conscious effort to have more meat free days. Not because I don’t like meat but because there are plenty of tasty foods out there that don’t include meat but also because I wanted to branch out and try new foods and recipes. So timing couldn’t have been more perfect when an email slipped into my inbox asking if I wanted to try the new HECK The Beet Goes On & Super Green Saus which have been four years in the making. 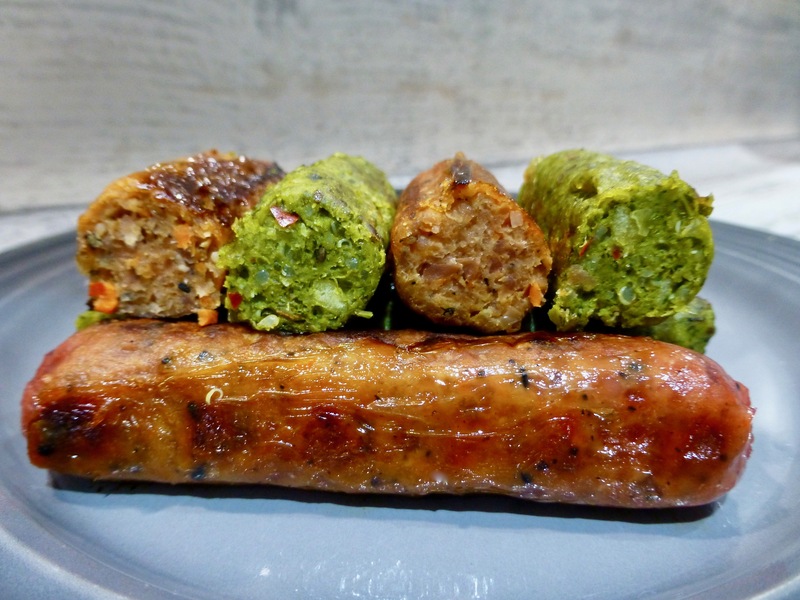 Hitting the shelves in Asda and Sainsbury’s HECK have 4 new plant-based and gluten-free sausages to tantalise our tastebuds. 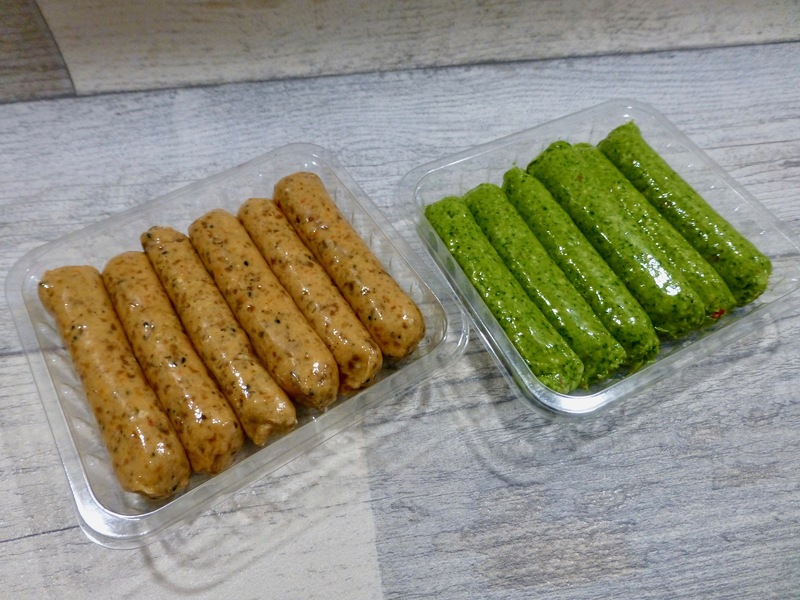 We have Bollywood Bangers, The Beet Goes On, Sweet Fusion Sausages and Super Green Saus, and these come in at £3.00 per pack with the latter two only being available in larger Sainsbury’s, and the full range being available in Asda. Made from delicious, wholesome, plant-based ingredients there isn’t a meat substitute in sight! 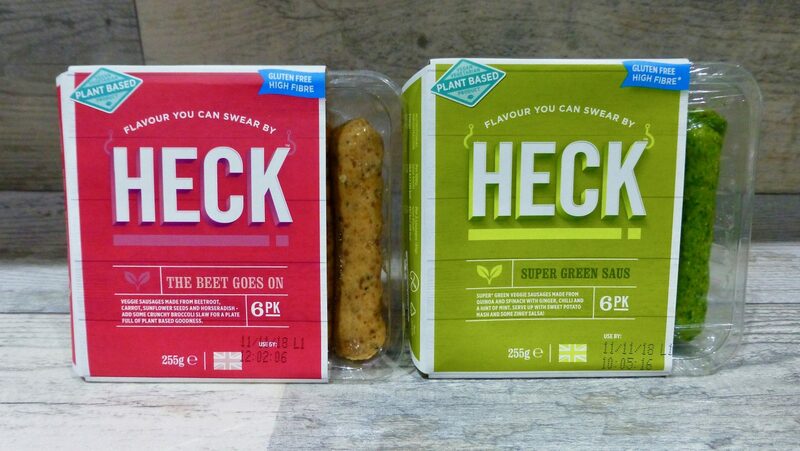 Not only do I love HECK’s packaging it is vivid and funky and even colour coded, the sausage too are vibrant to say the least. When I saw the uber green ones I couldn’t quite believe how green they were!! To cook it suggests the best results will be achieved if pan fried in a little oil for 10-12 minutes, so this is indeed what I did. The Beet Goes On sausages turned from a very plain colour to a bold a beautiful beetroot red whilst cooking. On the whole both of these had a real fiery kick to them. The Super Green Saus were zingy, gingery and fresh. The texture was a lot firmer than first thought given how squidgy they were when fresh, and they had a real bite to them which came from the quinoa and was both an interesting choice as well as a good one. Personally I could see this with an Asian slaw or curry, or as they suggest some sweet potato mash. Per 2 Super Green Saus: 109 kcal, 0.6g sat fat, 2,8g sugar, 4.8g protein. The Beet Goes On was a lot earthier which came from the beetroot and was the dominant flavour. Again the texture was very well put together and the use of both carrot and sunflower seeds gave some contrast. The horseradish I loved, it gave that real hum of heat that clears the airways and sits at the back of your throat, a nice alternative to the usual chilli. On the whole not a sausage I would usually go for because of the beetroot but I really did love it! I think it is fair to say that HECK The Beet Goes On & Super Green Saus were delicious. They are a wonderful addition to the HECK family and are a great alternative. Vegetables really are the star of the show here and I would certainly cheer for an encore. Keep your eyes on the blog for part 2! *These were sent in exchange for a review. All opinions are my own.